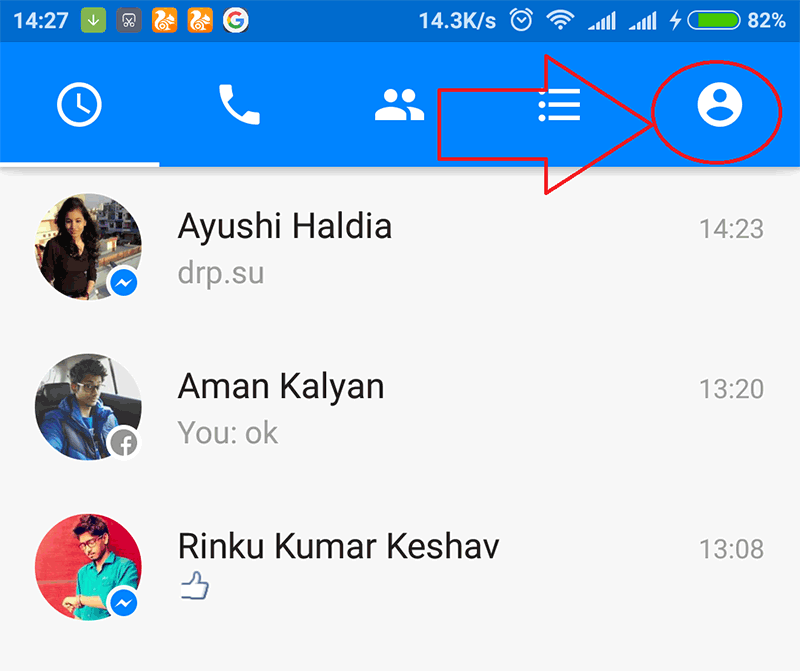 Facebook Cheat Heads is one of the very cool features which enable us to read and send Facebook chat messages without leaving your current screen. 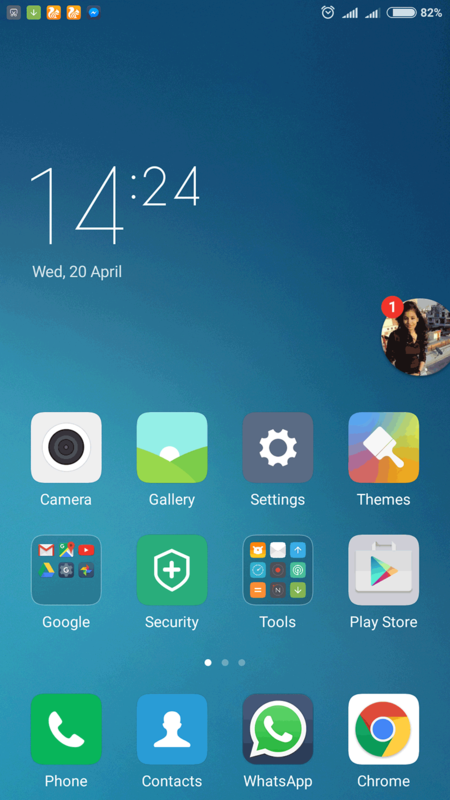 A small floating circle, containing the profile picture of the person we are chatting with is always on the screen. 1. 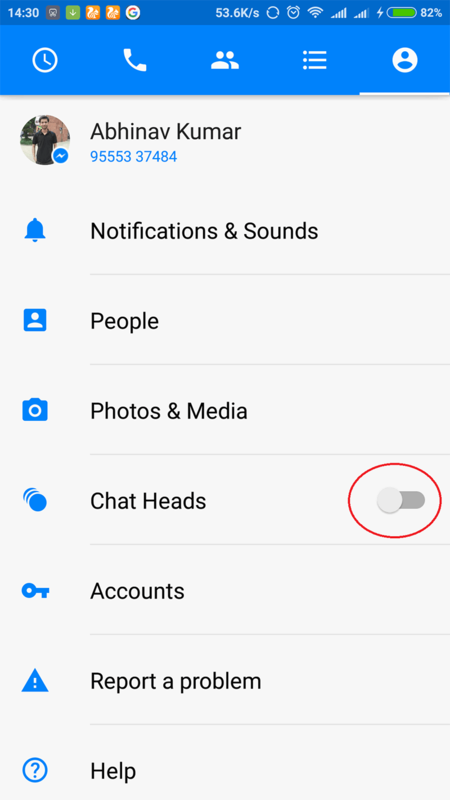 Open Facebook Messenger app, then go to settings by tapping on “Profile or Gear icon“. 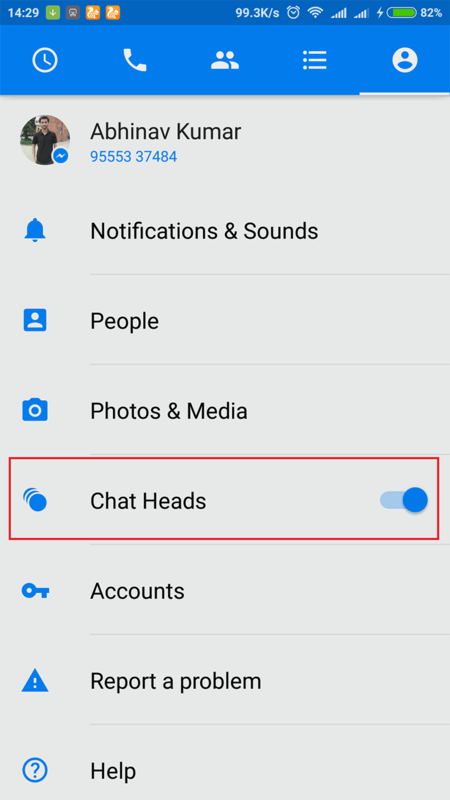 In the settings page, notice the “Chat Heads” section. Tap on it.